My name is Steven Huddleston and I am a Boston native that found a new home in Charleston, SC. I am a decorated veteran of the U.S. Marine Corps and found my love for the bar while slinging drinks on my off time for extra money. After medically retiring I fell into craft cocktails/mixology and I haven’t looked back since. I have been opening, fixing and running cocktail bars in the greater low country area for the past four years. I opened up my own bar & cocktail consulting company a year ago named GRAIN Consulting Company. Ever since then I have been seen behind the bar of many off Charleston, SC most established and respected cocktail bars like Prohibition. 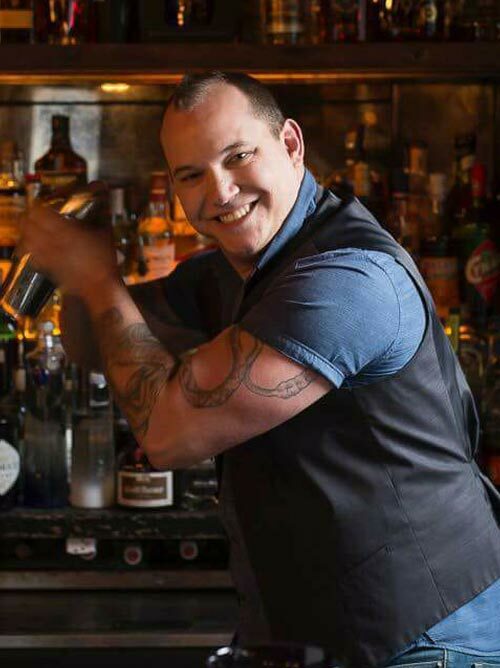 I compete extensively in both local and national cocktail competitions. I have won the 2017 Charleston Fashion Week Top Cocktail Competition, George Dickel Smoke on the Harbor Competition, Jim Beam Ghost Next Top Cocktail Competition, TGI Friday’s Fastest Bartender in the SouthEast, Charleston Wine & Food Festival Iron Mixologist, and Charleston’s Bartender of the Year. I have also gone to the finals for national competitions like Bacardi Legacy and Bombays Most Imaginative Competition. I have been published in Liquor Magazine “9 Popular Ingredients in Cocktails Now” 2015, Olly’s UK Food Network featuring my cocktail “Lowcountry Manhattan” 2015, Charleston Magazine 2017.